Story Contracting has now opened it’s new depot at Normanton, near Leeds in Yorkshire. This strategic base will now allow the Plant and Rail businesses to service the East and LNE regions more efficiently with refurbished offices, spacious enough to facilitate the future growth of the business. 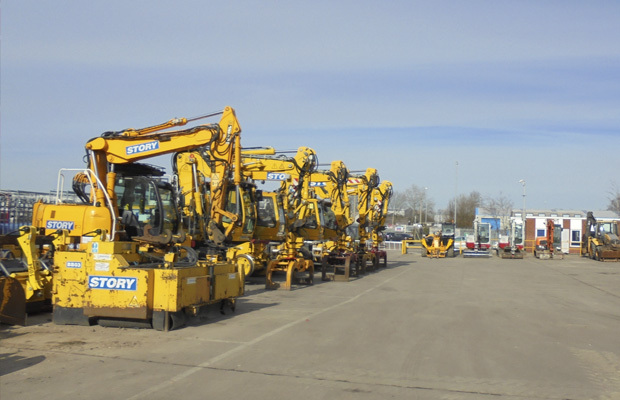 A secure yard houses Story’s plant fleet including attachments and other plant and the up-to-date workshops enable service and maintenance plans to be delivered on site. RRV operators and fitters have been recruited from the local area and the location has rapidly been turned into a thriving depot. The offices cater for the Rail team focussed on delivering in the LNE rail region undertaking and delivering projects in the North East. The new facilities include rest and washing facilities for drivers. All of our operators travel to site in their own designated vans which are part of our new investment programme. Fitters also have brand new vans, under a strict maintenance regime, which are fully kitted out to deal with most types of breakdowns and include facilities to make up hydraulic hoses.